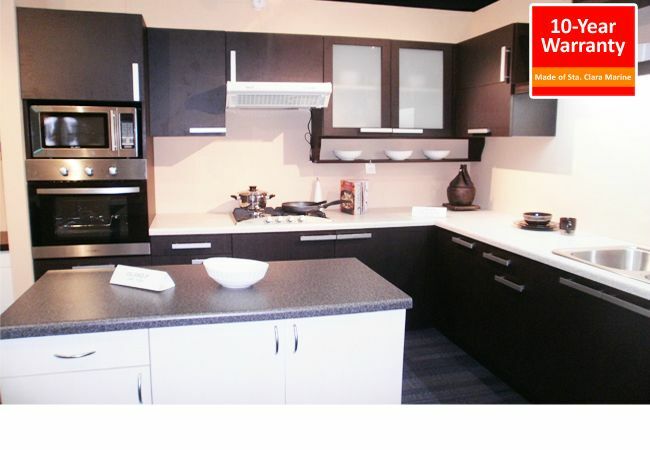 If you are dreaming of a handsome kitchen cabinets and of relatively good price then this letter is for you. 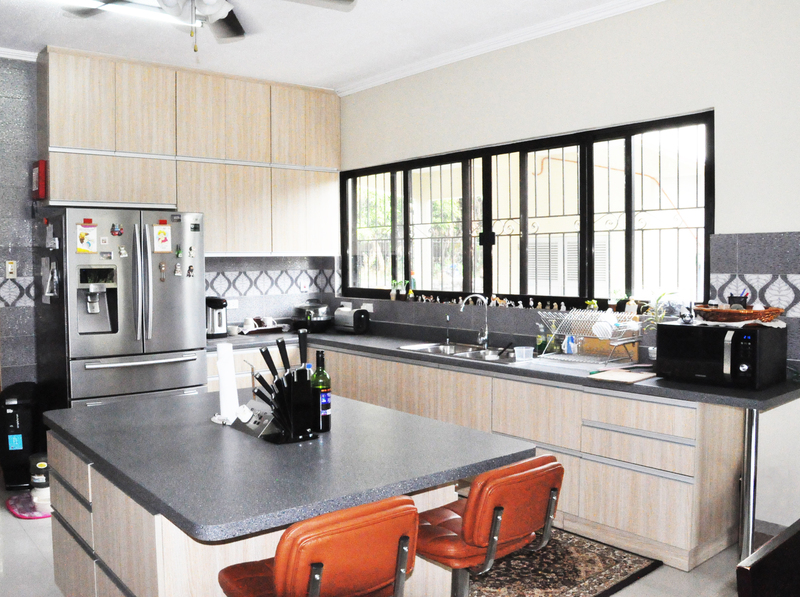 Many homeowners in planning for a new kitchen have to make that decision of whether to have it constructed the traditional way, meaning concrete structure made by carpenters, or to contract it out with kitchen cabinet specialist who builds knockdown (modular) type of cabinets. The traditional cement type is admittedly a very durable kitchen as far as the cement structure is concern, but its other parts such as the paints, the doors, the counter top, and the inside parts are not as durable. It may not last for ten years. It can also be infested by termite. 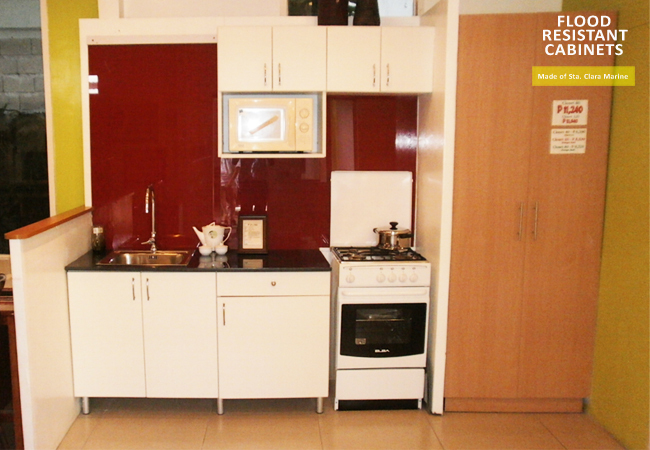 Usually the traditional cabinets are not partitioned inside and it’s inner parts are laden with openings where cockroach can lay their eggs inside. The inside portion of the concrete flooring are laden with crevices where cockroach can also hide.The environment under the sink is usually damp because of the moisture coming from the ground that penetrate the cement flooring which is another reason why cockroach infested the inside. It is said that cockroach can live for three days with one drop of water. And paint does not last too long in a damp environment.The construction time in the traditional type is a bit too long and messy. There is also the concern that sometimes there are misunderstanding between owner and contractor and/or carpenters such that they need to look for another carpenter to finish the job. And when the whole thing is finished it does not look like they way you wanted it, and the quality of workmanship Is not according to your expectation. 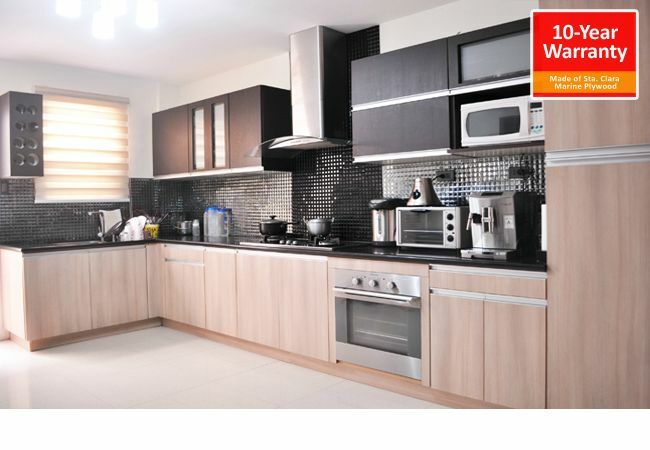 The Modular kitchen: The first major concern here is that it is not durable, especially if you intend to use the kitchen regularly on a daily basis. The second major concern is the cost, sometimes the price is a bit too prohibitive. 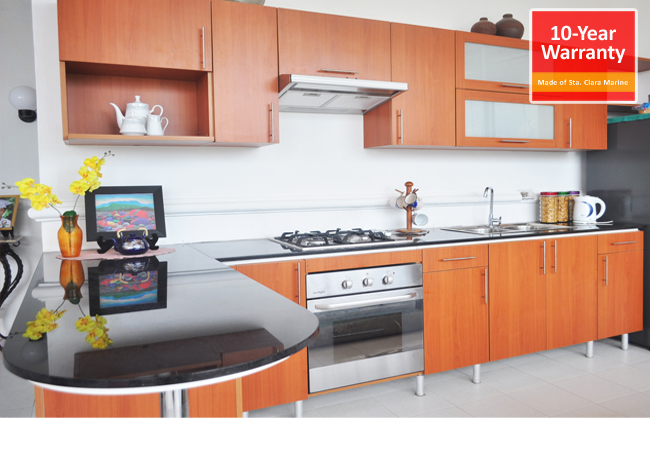 Build your Dream Kitchen !!! 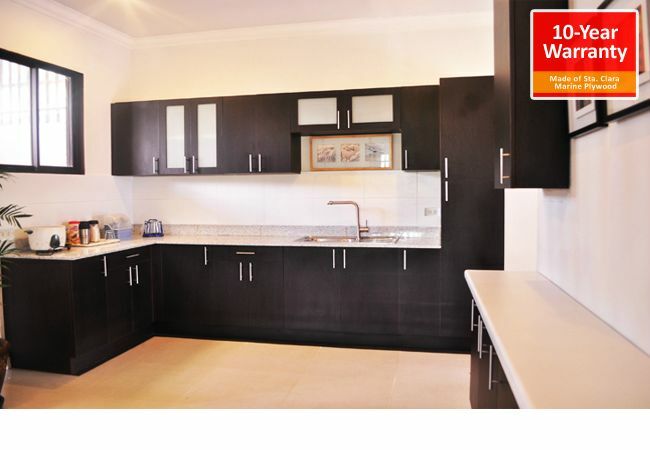 • A handsomely design modern kitchen cabinet set with a relatively good price. • Worry-free for the next ten years, because it’s guaranteed. 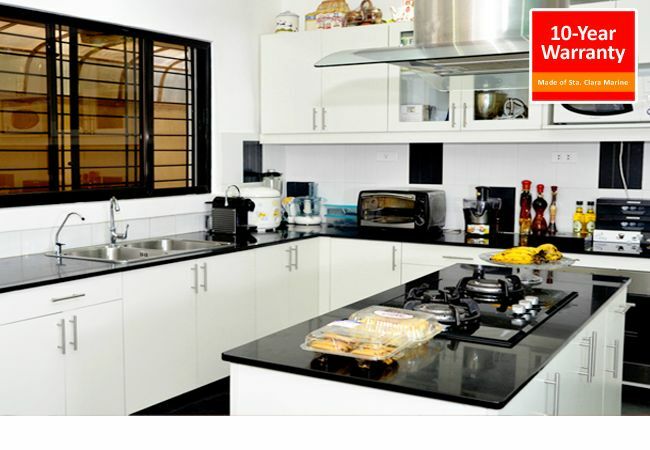 • Where your family can enjoy cooking together in a beautiful environment. 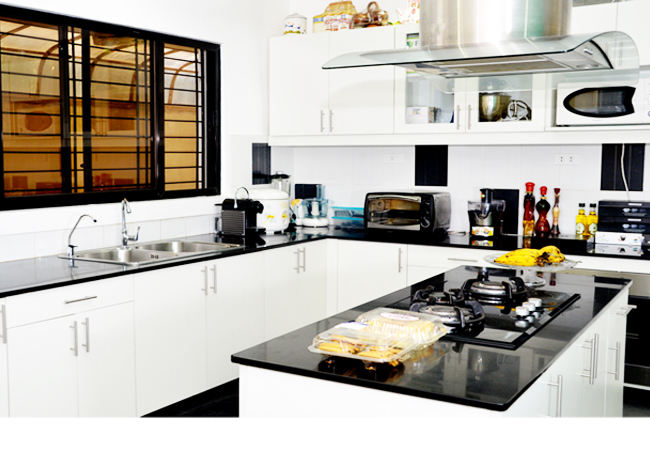 • Where you can entertain your friends and classmates and even cook together. 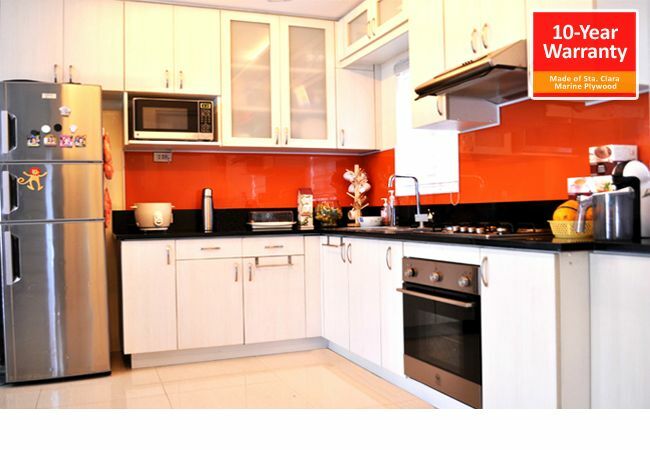 • Where you can organized all your kitchen tools and equipment. I am Oscar Chan, a family man with two grown up children. As a Catholic my spiritual awakening happened in 1980 when I experienced the saving love and hope of Christ In my heart. I know it is not the same to live without Him. In 1982, I established San Jose Kitchen Cabinet Manufacturing, a modern kitchen cabinet company with three branches at the SM malls. 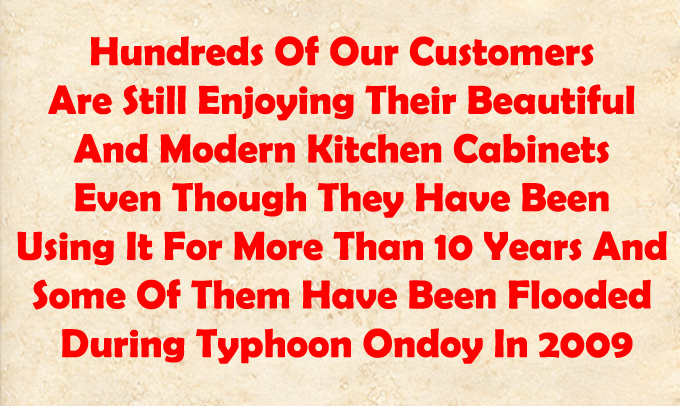 I was also 2011 president of the Chamber of Furniture Industries of the Philippines. But I consider the culture of values we developed inside the company more important. For instance we teach our employees the importance of love for the family. 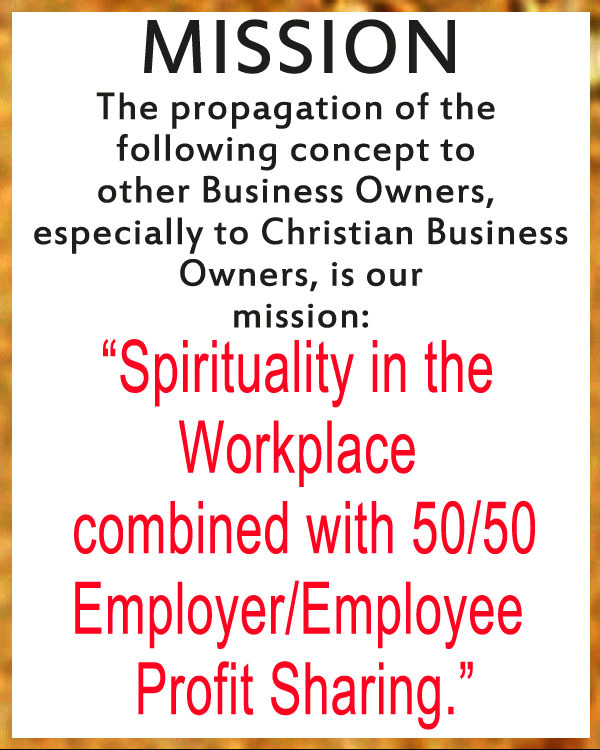 Every Monday morning we have a spiritual program for employees conducted during working hours. 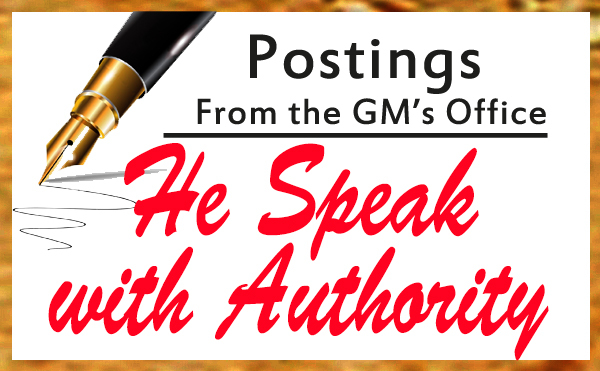 We don’t allow our managers to shout (bulyaw) at their subordinates. Our employees in general has a respectful attitude towards each other. In the words of one new officer during our annual survey, “walang namumulitika” (no one plays politics). Another employee commented, “walang nagmumura” (no one utter invectives). We share profits to employees since 1982 and we also promote the practice to other companies, trade associations, and the Catholic Social Teaching community. In fact this is our primary mission as a company. Our profit sharing system is guided by Pope Leo Xlll principle, “Each needs the other: capital cannot do without labor, nor labor without capital.” If it’s all capital, without labor, one cannot operate the business. If it’s all labor without capital, we cannot also operate the business. The two always goes together. Therefore both of them deserves a share on the fruits of there partnership. From the above principle we can see that employees have the “Right” (karapatan) to share in the profits of the company. We pay 100% tax due our government. We declare all our sales. In 2003, 2004, 2006 we were awarded as one of top tax payers of BIR Revenue District 54 in region 9. We have a long term good health program for our employees. Our canteen’s healthy plate, which include brown rice and 50% vegetables and fruits is patterned after the Harvard School of Public Health’s healthy plate (www.hsph.harvard.edu ) Every Monday, between 6 to 7:45 am, we have an inter-department sports program. The reason why I venture into the furniture business was my fascination with the beauty of the different characteristics of wood grains in various wood species. 2. You don’t have to worry for the next ten years because it’s under warranty. When you call for service, a customer care personnel will attend to you within 3 working days free of charge. 3. 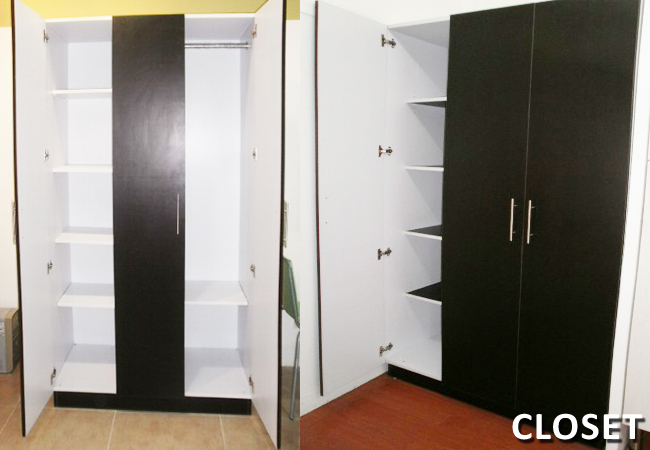 Each cabinet is sealed, thus if a cockroach coming from the outside gets in, it cannot transfer to the other cabinets. 5. 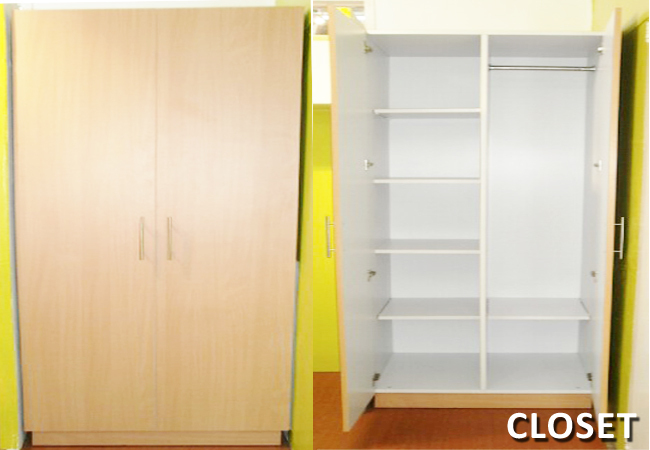 It’s fit to size: we will measure your exact requirements and install cabinets on the basis of that dimension. 6. You can transfer the location of the cabinets to any part of the house because the whole structure can be knocked down. Also since the inner layers of the marine plywood are made of hard wood, even if you disassemble and assemble it several times the strength of the screw will still be there. There is a very big difference between a very good quality raw materials and if the raw material used was of soft quality, even if its also marine plywood. 7. 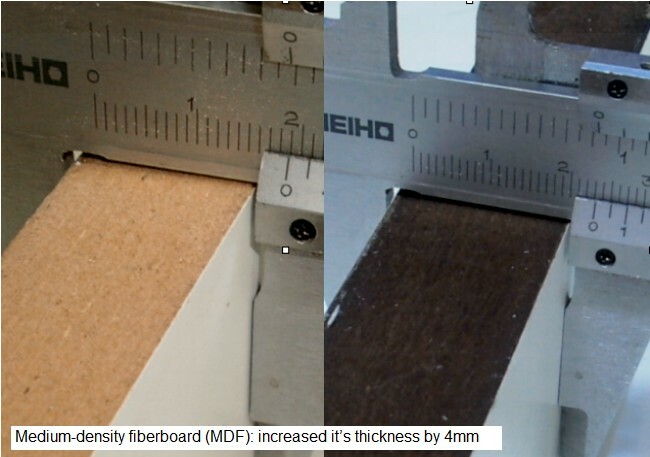 In most cases it can be installed in two to three days only and it is not messy because it’s dry construction. 8. Workmanship and quality is better because it’s machine made. 9. It is easy to make add-on cabinets in the future. 10. You can see already how it will look like when finished as per showroom display. 11. It does not fade and delaminate easily because it’s high pressure laminate. 12. You may wash the inside with soap and water without a problem because it’s made of marine plywood used in boat making. 13. It’s bright and clean looking inside and easy to clean. 14. No moist coming from the cement flooring because the floor of the bottom cabinet is elevated four inches above the cement. 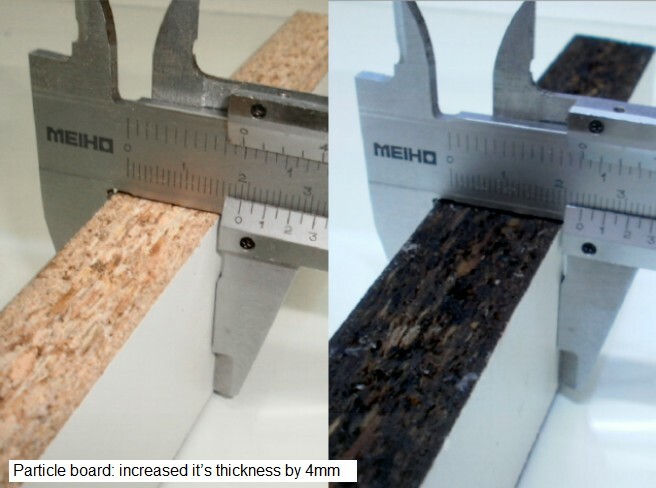 We have made our own experiment aside from boiling the wood for almost 48 hours to see the strength of Marine Plywood. 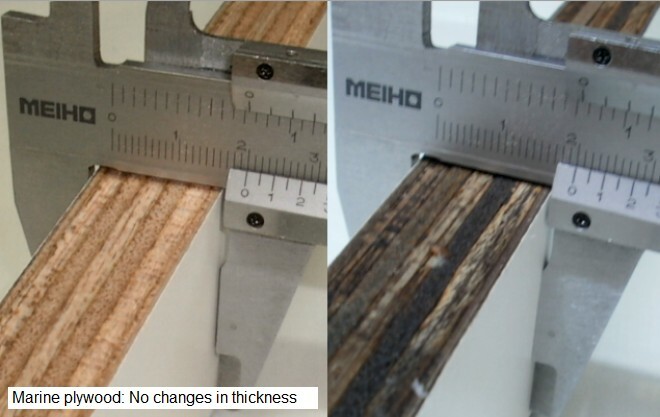 Picture shows different kinds of wood that has been dip in the water for 2 weeks and the result is shown in the pictures. PS1: Our business mission is to give you the best customer value for the amount you spend. We may not be the lowest price, but we strive to give you the best combined value of quality, design, functionality, price and service. In the long term you got the better deal and peace of mind.